Bitcoin is a decentralized peer-to-peer digital currency and payment network. It is completely based on the belief that Bitcoin has value. Hoss Gifford of OneMethod Inc. explains that “Unlike traditional currencies, it’s not tied to any one country or any bank. Unlike a traditional currency, it doesn’t have a reserve; there is no big vault underground somewhere with a lot of gold”. According to the Bitcoin website, Bitcoin is free from the highs and lows of inflation, interest rates and market fluctuations, and its value is determined by the number of bitcoins in circulation. The total number of Bitcoins is capped at 21 million. Email let us send letters for free, anywhere in the world. Skype lets us make phone and video calls for free, anywhere in the world. Now there’s bitcoin. Bitcoin lets you send money to anyone online, anywhere in the world for less than a cent per transaction! Bitcoin is a community run system not controlled by any bank or government. There’s no wallstreet banker getting rich by standing between you and the people you want to send and receive money from. Bitcoins are typically bought through an exchange. The process involves setting up an account, then transferring funds into the account in order to start buying bitcoins. 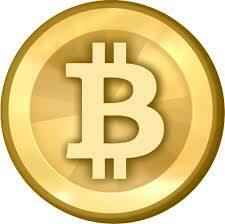 Bitcoins can also be exchanged in physical form through the Casascius coin – each is worth one digital Bitcoin. How can bitcoins be obtained? By earning bitcoins through “mining”. Physical Bitcoins are available through Casascius and BitBills. Those places only accept Bitcoin, but you can get them with a credit card through MemoryDealers. You do pay a markup for the production and delivery, but it’s a fairly easy way to get moderate amounts of coins. Plus the physical coins make a great and memorable gift. For larger purchases there are several currency exchanges, such as Mt. Gox, Bitstamp, CampBX, Intersango and Virtex (CA). Mining or competitive mining is a process in which individuals contribute in generating virtual money and consequently add it to the “block chain” through computing. Indivitual make their computers (which are powered on and connected to internet 24 hours) available to Bitcoin network. The Bitcoin network uses this collective computer power to do complex mathematical calculations, signing and validating authenticity of requests. Miners collect the transactions on the network into large bundles called blocks. These blocks are strung together into one continuous, authoritative record called the block chain, which doesn’t permit any conflicting transactions. The way Bitcoin makes sure there is only one block chain is by making blocks really hard to produce. So instead of just being able to make blocks at will, miners have to compute a cryptography hash of the block that meets certain criteria. In addition to the hash criteria, a block needs to contain only valid, non-conflicting transactions. So the other main task for miners is to carefully validate all the transactions that go into their blocks, otherwise they won’t get any reward for their work. Then submits the block to the network, adding it to the block chain and earning a reward in return. Bitcoin uses a technique called public-key cryptography, which relies on creating an interlocking pair of encryption keys: a public key that can be freely distributed, and a private one that must be kept secret at all costs. The public key is treated as an address to which value may be sent, akin to an account number. Each transaction involves the paying party signing over a portion or all of the value in one of these addresses by using his private key to perform an operation, called “signing”, on the contents of the transfer, which includes the recipient’s address. Anyone can use the sender’s public key to verify that the sender’s private key signed the transaction. All transactions are appended to a public ledger, called the block chain. Public keys are ostensibly anonymous, because they are created randomly by software under the control of each user, without central co-ordination. But it turns out that the flow of money from specific addresses can be tracked quite easily. What are pros/advantages using Bitcoin? Efficiency: Money can be sent and received instantly anywhere in the world, at any time, without a bank or middleman. Low fees: Payments are processed with either no fees or very small fees. Privacy: Transactions do not contain users’ personal information, offering stronger protection against identity theft. Control: Users are in full control of their transactions. Transparency: All information on transactions is available in the database. Bitcoin is not a physical entity nor it is backed up or maintained by any govt authority, hence transactions are not subject to the same regulations as other currencies are. While every single transaction made using Bitcoin is posted publicly, the identity of the user remains anonymous – making it hard to track perpetrators in the case of theft. According to the Bitcoin website Bitcoin is prone to user or human error. Bitcoin wallets that store private keys can be accidentally deleted, lost or stolen. The Bitcoin system offers a reward to volunteer users, known as “miners”, who bundle up new transactions into blocks and add them on to the end of the chain. The reward is currently 25 Bitcoins (about $15,000 at this writing). Miners pull active transactions waiting to be recorded from the peer-to-peer network and perform the complex calculations to create the new block, building on the cryptographic foundation of the previous block. Comparison of the results produced by different miners provides independent verification. About every 10 minutes, one lucky miner who has generated the next block is granted the 25-Bitcoin reward, and the new block is appended to the chain. The process then starts again. Please check http://www.weusecoins.com/en/ and sister websites.